Realising a funny object is one of the possibilities. A unexpected combination of materials or text and shape(s). 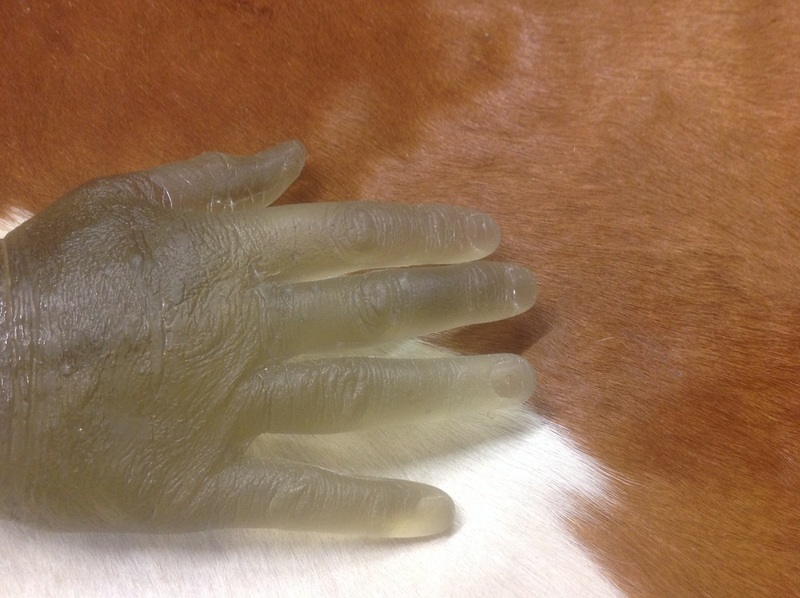 Above: Kilnformed glass hand and cowhide. 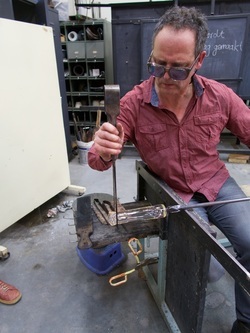 Glass blowing is one of the techniques I use to realise an object / shape. 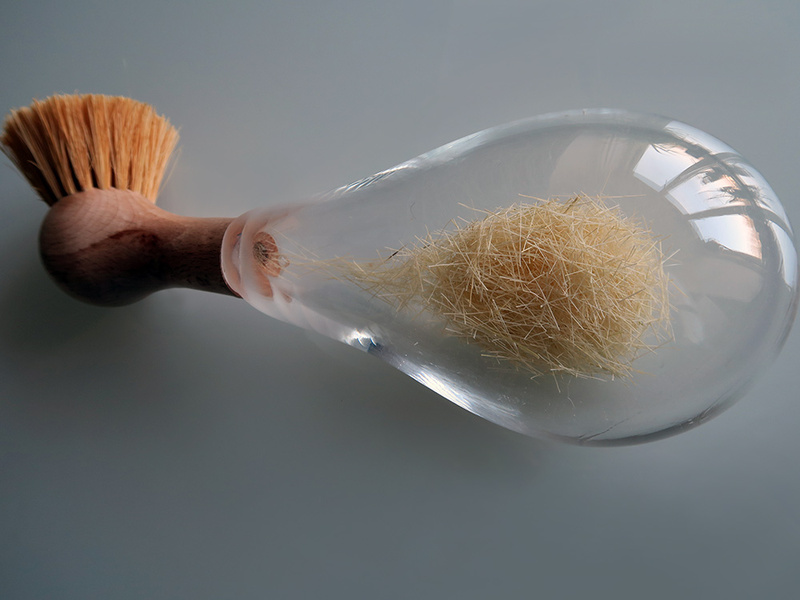 Down: Part of a dishwashing brush connected to a handblown form which contains the brush material.